On Christmas Eve, Jordan Peel claimed "Get Out" qualified as a Christmas movie. As the article I linked to points out, he clearly wasn't entirely serious, and I found his arguments entertaining. But since this isn't the only time this year I saw a movie somewhat haphazardly labeled a Christmas movie, I thought I'd take a minute and revisit the concept. 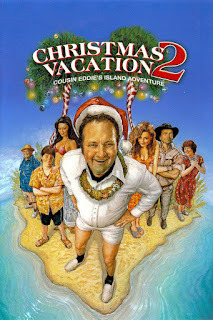 Here at Mainlining Christmas, we have rather extensive criteria for determining whether a movie qualifies, but that's not what I'm talking about today. I want to look at a more straightforward definition. When people call movies like Get Out Christmas movies, what they really mean is that they're movies that can be watched at Christmas. But that's literally any movie. Is it worse when seen at times that aren't Christmas? Like a tree nurtured and grown, another year has been cut down, dragged inside, strung up with bright lights, dried out, and inevitably caught fire. To put it plainly, Christmas 2017 is gone. 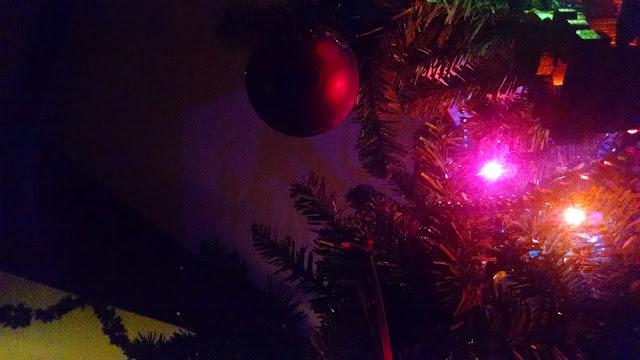 And with it, we must also bid farewell to another "season" of Mainlining Christmas - the eighth since we started this little experiment in holiday bingeing. In past years, we've vowed we'd be back in more or less the same form (or halfheartedly claimed we were shutting the whole thing down, only to pull a last-minute twist). This time... I'm not so sure. I mean, we'll be back in one form or another - we have way too much fun to walk away altogether. But we've been considering a format shift. The rapid-fire of reviews is getting a touch mechanical to write (and I suspect to read, as well). In case you missed the release announcement, this is a quick reminder that our gift to you this season is the pilot episode of the Mainlining Christmas Podcast. Listen above, or on Soundcloud, Stitcher, or iTunes. I guess at least one good thing has come out of HBO's partnership with Sesame Street: we got a new Christmas special! 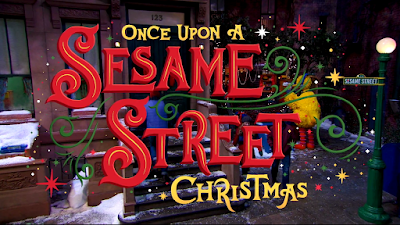 It's not as charming and perfect as Christmas Eve on Sesame Street, but what is? It does have a lot of heart and humor. After a warm opening number about the lights of the season (with brief glimpses of Muppet families celebrating various holidays), we get to the plot pretty quickly. Elmo wants to know why we leave cookies for Santa, so his dad tells him a story. Apparently, back in an unspecified old-timey time, Sesame Street was an unfriendly place to live. This means we get a ton of gorgeous costume design on 19th-century versions of many of the characters. 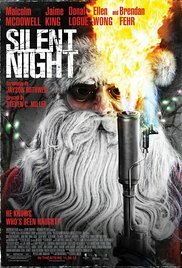 Silent Night is a quasi-remake of the 1984 cult classic, Silent Night, Deadly Night, which - I'll be the first to admit - I really need to see. Not that I really want to see it, mind you, but it's probably one of the more significant holiday films I've yet to get around to. At any rate, let's talk about the 2012 version, which - judging by the plot synopsis I just skimmed for the 84 - is probably is more of an homage than a remake. The only scene that reads the same is one where the killer impales a woman on deer antlers. To be fair, that accounts for a good 20% of the plot. The 2002 sequel to Hooves of Fire is, at least in my opinion, an improvement over the original. The story is no longer tethered to that of an 80's sports movie, and the new elements feel much more inspired and original. The story this time centers around a "lost tribe" of Vikings, who are essentially dwarves in this world. In a backstory relayed by Old Jingle, we learn the last of their kind were supposedly killed off in a civil war waged when all the Vikings got bored. Robbie's the only one who's seen any of the Vikings, and no one really believes him. They're more concerned with their failing resort, anyway. Why are reindeer running a tourist resort? Because Santa gives the toys away, so he's got nothing to pay them, obviously. Surprisingly good for a TV movie that first aired on Lifetime, this ghost story/romance still had a few missteps. First, we follow a man through the show. He sees a house in the distance; a woman comes out. A man comes out and appears to embrace her. And then THWACK. He's dead. And then an opening sequence! I'm ashamed to admit that after so many movies featuring B-roll of New York City in snow, I failed to notice that this sequence is actually supposed to be Boston. We just thought it was surprisingly snowy. Like many terrible rom-coms, this movie introduces its female lead by establishing that she "doesn't know how to love" and "works too much." Like few of them, this sequence is actually delightful. Kate is much better off without her wanna-be psychoanalyst boyfriend and seems to get real satisfaction from her job. 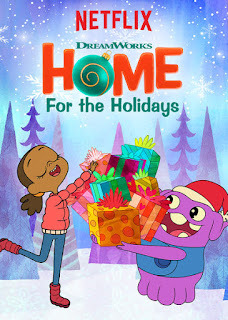 This straight-to-Netflix special spins off of the show Home: Adventures with Tip and Oh, itself a spin-off of the movie Home. It's not awful, but neither is it heartwarming or coherent. 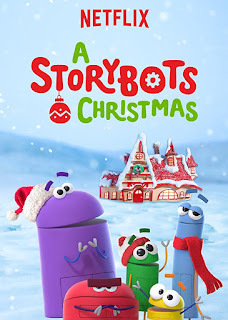 The premise is that Tip (who I remember speaking like a girl and not a stylized stereotype in the movie) realizes that this will be Oh's (her alien friend) first Christmas to celebrate. (I guess last Christmas was the invasion?) So she gets excited telling him about all the fun things to do and see. There are a LOT of songs in this special. Erin liked more of them than I did, although I admit that the wackiness is strong and fun in some of them. Unfortunately, everything between the songs is thin pretext to get us to the next song. I'll talk about this more in a moment. 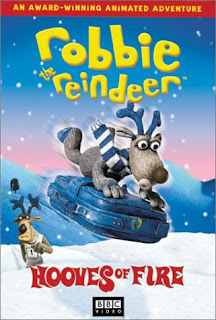 Hooves of Fire is a BBC claymation special about the son of Rudolph joining Santa's team. 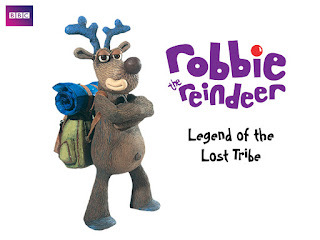 Rudolph's name is never explicitly spoken due to copyright issues, but there's no ambiguity about Robbie's heritage. The same can be said about Aardman animation - their name isn't on this, but their style permeates the special. Also, this was directed by Richard Starzak, who'd later go on to create Shaun the Sheep. Overall, I enjoyed this, thanks to some clever jokes and fun designs. That said, the concept was a bit one-note, there were some unfortunate character directions, and the tone needed work. In short, it was good but not amazing. When we finished watching this new special from Netflix, we were left with a conundrum. Had we just experienced a kids show with a surprising scattering of subversive humor and references? Or a hit-and-miss parody of children's entertainment? Or a piece of tedious moralizing aimed at the very very young? If it sounds like all those things couldn't possibly be contained in one 25-minute special, you understand why we were perplexed. We didn't hate it, but we didn't enjoy it either. We spent most of it staring at the television, heads slightly cocked to one side, saying, "Huh?" 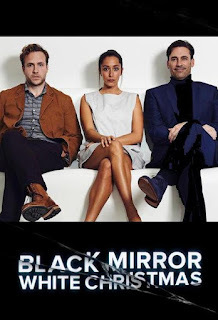 People have been telling us for years we should check out Black Mirror, a British (well, formerly British now Netflix-produced) science fiction anthology series, but we've been busy. We finally got around to at least watching the Christmas special, and we were... I don't know. Not overwhelmed, not underwhelmed. I guess we were whelmed. The production values were certainly impressive. The writing was solid, though I didn't find this special spectacular. The holiday elements felt tacked on - I wouldn't be at all surprised if this were originally written for another purpose than altered to fit a holiday mold. This is really three short bits tied together by a frame story about two men ostensibly living and working together in some snowbound environment. It's meant to be ambiguous at the start, but I doubt I was alone in assuming it was some sort of purgatory or hell. Premise: In the early 1900s, more children began to write letters to Santa, and the Post Office asked for help. Enter John Duval Gluck Jr. and his creation: The Santa Claus Association. This was an interesting book overall, although the payoff is smaller than I would have preferred. 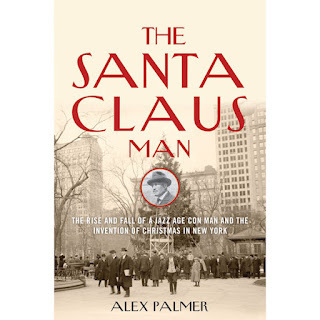 The book paints a complex and intriguing picture of New York in the first few decades of the twentieth century, particularly around Christmas. The specific story of Gluck and his various "charities" is only the largest thread; the book also explores early influences on the image of Santa, how various staples of Christmas (public tree-lightings, parades, etc.) started or became notable in New York City. 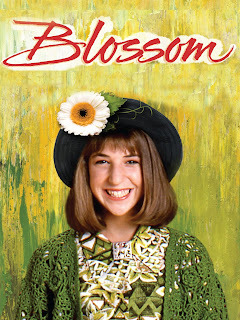 Blossom is one of those shows I remember watching, but I don't actually remember specifics about. It was about a girl, who wore big hats, and her friend? Watching this episode only convinced me that I'm probably better off forgetting it. It's an incredibly generic-feeling sitcom, featuring the broadest acting imaginable. You're on film, you don't need to play to the cheap seats. The titular character lives with her father and two brothers, all of whom spend this episode bumbling around to an impressive degree. There's an early subplot about Blossom being a terrible student driver. Her grandfather takes her driving, only for them to just barely luck out of a ticket for driving 7 miles per hour on a main road. The punchline is that her grandfather is a terrible driver too (no one knows how he got to their house, he doesn't seem to live there) and they're all in danger/recklessly endangering others. Laugh track, fade to commercial.